begin to dig: Sleep and the Carrot Cake Correlation: have you experienced this? Sleep and the Carrot Cake Correlation: have you experienced this? 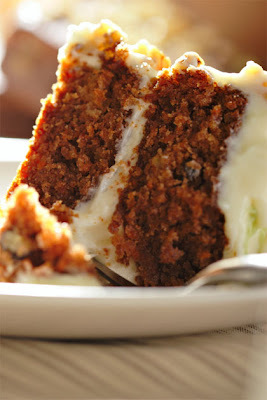 Follow @mcphoo Tweet Can carrot cake help sleep? Or is it just the icing? A couple weeks ago, i was coming to the end of a several month low cal low starchy carb lifestyle as part of the final training push for an event. One night, about a week after said event, but still having been quite diet-rigerous (by then it was habit) a group of us were out for dinner, and the waiter brought out the desert tray. On this cart was the largest slice of carrot cake i had ever seen. "It's usually bigger on the plate when they serve it"
I asked if anyone wanted to share a piece. Of those interested in the carrot cake, two other studly guys were quite happy to have their own. Ok then. I was still hungry. I was ready to go for it. Not only that i was quite sure i'd be done first. Not rushing; just i was still hungry. The deserts arrive. The coffee arrives. The deserts are indeed huge. They are also lavished with some kind of white icing and perhaps some cream cheese kind of middle. The cake part was very good. The icing's sugar hit was intense. Wow what a rush. And yes, i did finish the cake first, but only the lads were able to polish off all the icing and middle substance. Interestingly there were predictions of an immanent and horrible sugar crash, but perhaps i got to sleep soon enough after this (within about 90mins), but no such crash occurred. What did happen is that for the first time since i could remember, i slept through the night. I woke up feeling terrific. I have not had quite such a deep sleep since. Is there a carrot cake correlation? A while ago, i wrote about work that showed that mega hi GI carbs taken four hours before planned sleep resulted in getting to sleep and staying there. In looking at the GI of carrot cake (in the 50's) and the Jasmin rice used in the study (100+) that doesn't seem quite to fit. Maybe the icing put it over the top - even though i think, seem to recall, leaving quite a bit? But if you've had any kind of similar carrot cake experience related to high quatlity sleep and high wellb eing the next day, please let me know. Oh, and coming up on B2D: discussions with Stephan Fabregas, Sleep reearcher at myzeo.com. mc...love that you're such a thinker, and always appreciate that you're willing to share your thoughts with all of us.